Raleigh, NC, February 16, 2018 --(PR.com)-- The Select Group (TSG), a leading North American technical services firm, announced today that they have earned Inavero’s Best of Staffing® Client Diamond Award after winning the Best of Staffing Client Award at least five years in a row for providing superior service to their clients, and their third Best of Staffing Talent Award. Presented in partnership with CareerBuilder, Inavero’s Best of Staffing Client Diamond winners have proven to be industry leaders in service quality based entirely on ratings provided by their clients and consultants. On average, clients of winning agencies are 2.3 times more likely to be completely satisfied with the services provided compared to those working with non-winning agencies. TSG received satisfaction scores of 9 or 10 out of 10 from 78% of their clients and 73% of their talent, significantly higher than the staffing industry average of 32% and 45%, respectively. “Our service portfolio has been built through the relationships we hold with our clients and reinforced by the quality of our skilled consultants,” TSG’s Chief Experience Officer, Jeff Zirker, said. “The Select Group appreciates all of our survey respondents for taking time to respond; giving us the opportunity to serve them and to hear their feedback through Inavero." 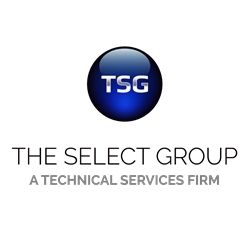 Founded in 1999 by CEO Sheldon Wolitski, The Select Group is headquartered in Raleigh, NC, with branches throughout North America, including Atlanta, GA; Boston, MA; Charlotte, NC; Columbus, OH; Dallas, TX; District of Columbia (DC); Greensboro, NC; Huntsville, AL; San Diego, CA; San Jose, CA; and Toronto, Ontario. With a company purpose of impacting lives, one positive experience at a time, TSG offers managed services and staff augmentation to businesses of all sizes, as well as a dedicated government services division for meeting federal, state, and local government needs. TSG’s technically-trained staff of recruiters and account managers are focused on building relationships to add value to the hiring and talent management processes. The award-winning firm has been recognized as an emerging leader within the industry by landing on Staffing Industry Analyst’s (SIA) Fastest-Growing US Staffing Firms list six years and counting, as well as making SIA’s 2016 and 2017 Largest Staffing Firms list and earning consecutive awards for Best of Staffing. The Select Group is an 11-time honoree on the Inc. 5000 list of Americas’ fastest-growing private businesses. To learn more about The Select Group, visit www.selectgroup.com, or see our culture in action on social media.